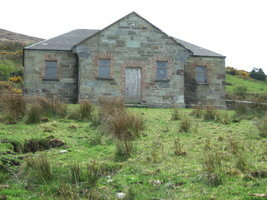 The Old School building was built in 1857, it burnt down in 1979 and was then replaced by the modern National School. Exhibitions, Geneaology, Traditional Skills Workshops, Information, Retreats, Meeting rooms, Internet, Printing & office services, Craft Shop, Refreshments. President Mary McAleese Officially opened the Heritage Centre on 30th October 2010. The Heritage Centre is supported by the Community Services Programme through Pobal and the Department of Social Protection. Basketry, Crochet, Quilting, Watercolour workshops, Home Growing, Blacksmithing, Coppersmithing, and many more.